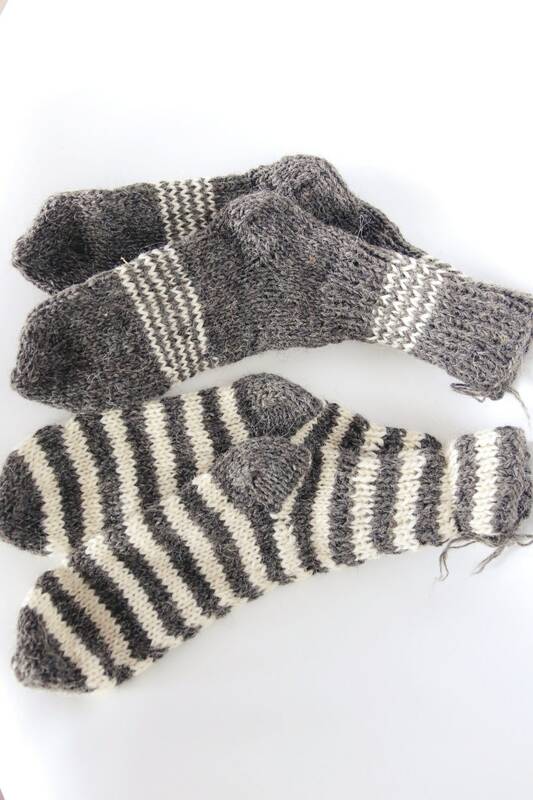 Hand Knitted woolen socks made of 100% pure natural sheep wool. Unlike cotton, wool is an great insulator. When it's cold out your feet will be toasty and warm in your wool socks. 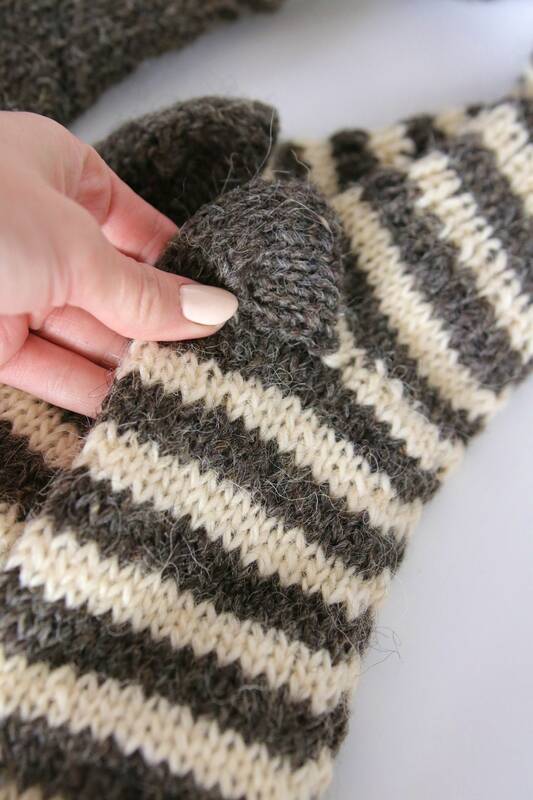 Wool can absorb a high amount of moisture— much more than cotton. 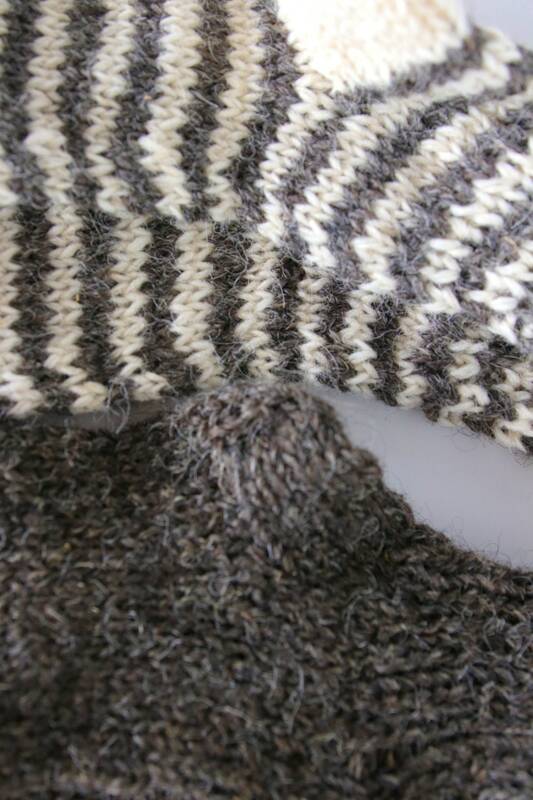 Wool can actually hold a third of its weight in moisture before it even starts to feel "wet." 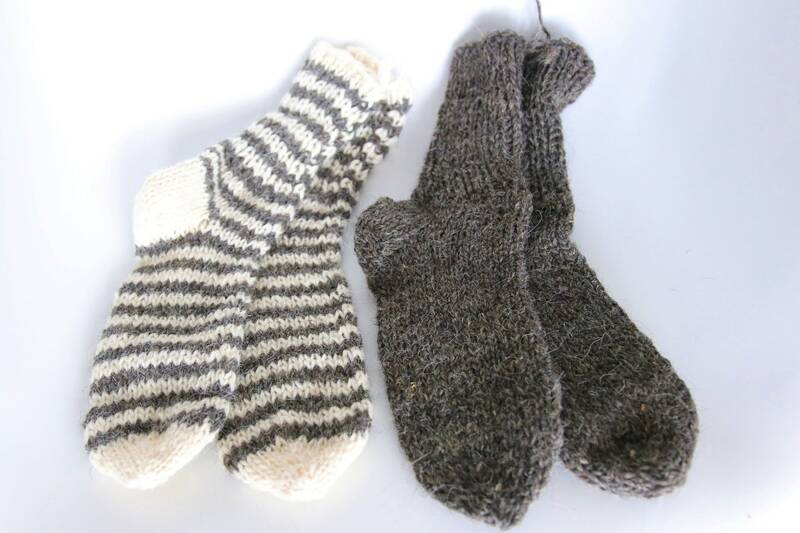 Wool keeps its insulating properties while wet, which is perfect for sweaty feet. Not only that, but wool also dries much more quickly than cotton or other synthetics. ...which means they don't have to be washed every time you wear them. Indeed, they can be worn multiple times before washing.